Backers are able to support the project with anywhere from $5 to $5,000 or more, but to get your hands on an early PonoPlayer device you have to spend a minimum of $300. 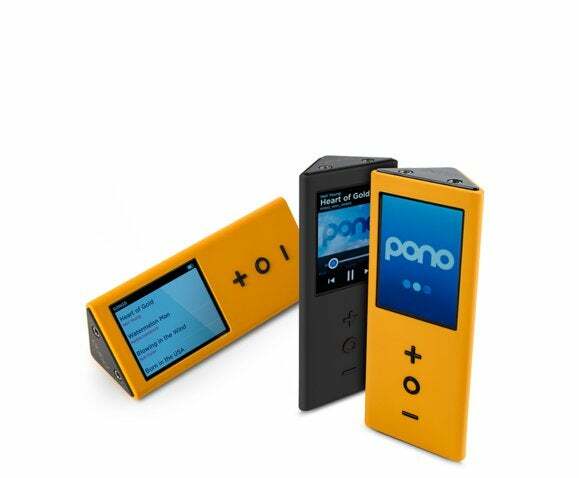 The goal of Pono is to let you hear music as close to the original recorded resolution as possible, according to PonoMusic, the company behind the device. Pono will use FLAC as its standard file format, and the PonoMusic store will sell music files ranging from CD quality of 44.1kHz/16-bit to so-called high-resolution 192kHz/24-bit recordings. Although FLAC will be its commercial focus, the PonoPlayer will be able to spit out pretty much any format you throw at it including ALAC, MP3, WAV, AIFF, and non-DRM'd AAC. Neil Young showing off the PonoPlayer to David Letterman in 2013. Pono is promising some of the best digital playback you've ever heard. That's a pretty big claim to make, especially since there are some serious criticisms about the value of high-resolution audio to the listener. Nevertheless, it sounds like a lot of care and attention went into the components that make up the PonoPlayer, which may really be the Pono's secret sauce. PonoMusic says the player's digital filter is designed to eliminate any digital pre-ringing that you can sometimes hear on low-quality MP3s. The player's digital-to-analog converter (DAC) chip is said to be "widely recognized in the audio and engineering community" as one of the top DACs available today. The DAC is believed to be the ESS ES9018. PonoMusic partnered with Ayre Acoustics to create the device. When it becomes available for purchase, the Pono will be a triangular-shaped music device weighing about 0.28 pounds. It will have 64GB of internal storage and a microSD slot supporting up to another 64GB, for up to 128GB of total available storage (about 5,000 tracks at CD quality). The PonoPlayer will have physical volume and power controls, and a touch display for scrolling through music. The device will sell for $400 at retail and come with a 1-year warranty. Anyone interested in the Pono can fund the project until April 15.